Peter get out of here with that bs! One of the most powerful men in Chicago, Big Jim’s businesses ranged from brothels and opium dens to upscale dining. His political influence in the early 1900s helped shape the way American organized crime operated for decades to come. Nobody could take down Big Jim… but that doesn’t mean they didn’t try. Parcasters - Take a trip from Chicago to New Hampshire and learn about the alien abduction of Barney and Betty Hill on our new show Extraterrestrial. Listen at parcast.com/extraterrestrial. Imprisoned in 1973 for drug crimes, he continued to oversee Chicago’s Gangster Disciples from his prison cell. Hoover used his time in prison to educate himself on politics and history. The Pontiac Prison Library provided a place for him to formulate a new plan: take the Gangster Disciples from street gang to political powerhouse.Parcasters - Hear Hercules as you’ve never heard him before on this week’s episode of Mythology! The leader of one of Chicago's most dangerous gangs in the 1970s, Larry Hoover was only 23 when he was sent to a maximum-security prison. The police thought they’d taken one of Chicago’s most dangerous gang leaders out of the game, but they’d only given him a new territory to reign, and 3,200 new inmates to recruit.Parcast News - Be sure to check out Parcast’s first fictional crime show MIND’S EYE at Parcast.com/MindsEye! He was the youngest drug lord in D.C. history and began selling drugs at the ripe old age of 9-years-old. By the mid-1980s, Rayful Edmond III controlled 60 percent of the drugs that came into the city and was making $300 million annually. But this would only be the beginning of his legendary reign. Sponsors!Audible - Listen to “Evil Has A Name” only on Audible. 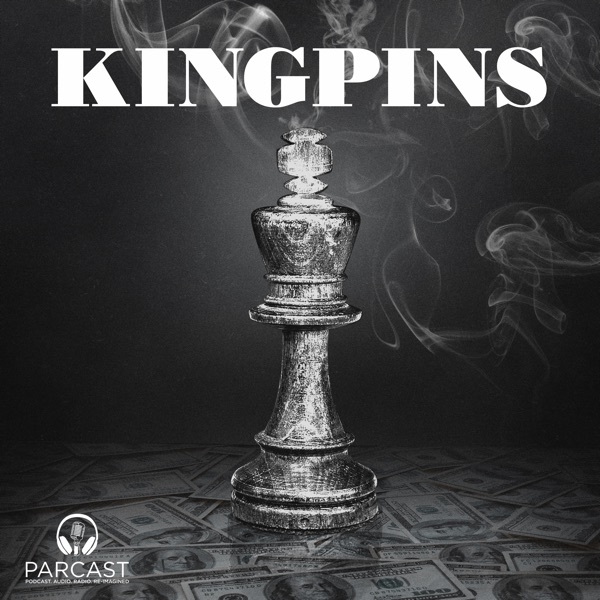 Listen now at Audible.com/EvilKingpins. After her husband's murder in 1986, Thelma stepped in and took over a nationwide drug operation, moving cocaine and heroin from LA to Philadelphia. She had no idea what she was getting herself into. Wright enjoyed the lavish lifestyle the drug trade afforded, but would soon learn the consequences of engaging with the criminal underworld.Parcast Network - Check out our new show Mythology at https://www.parcast.com/mythology.